While opposition chairman Yitzhak Herzog cozies up to Prime Minister Binyamin Netanyahu, standing united with him against the Iran deal, Yesh Atid chairman Yair Lapid continues to attack the Prime Minister for the agreement. "We are now facing the greatest foreign policy failure of any Israeli prime minister," Lapid charged before the start of a Foreign Affairs and Defense Committee meeting on Wednesday. "[Netanyahu] is not Churchill before World War II, he is Golda Meir after the Yom Kippur War," Lapid added. The former minister has stressed that "in English, we'll support the government and explain to the world how dangerous this agreement is. But internally, in Hebrew, let's face it - the Prime Minister failed to bring about a different agreement." According to Lapid, it would have been possible for world powers to reach a deal with Iran that had stricter supervision of nuclear facilities and a more rigid schedule for the removal of sanctions. 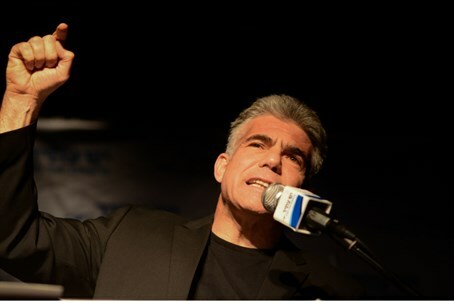 As to Netanyahu, Lapid blamed the Prime Minister for destroying Israel's relationship with the West and called for him to resign immediately. "Until Tuesday, the world was convinced the United States and Israel always go hand in hand. But the world has learned that no more is the US willing to listen to the Prime Minister of Israel," Lapid fired. "Netanyahu should be sent home for this failure of such colossal magnitude. The Prime Minister cannot stay in office."